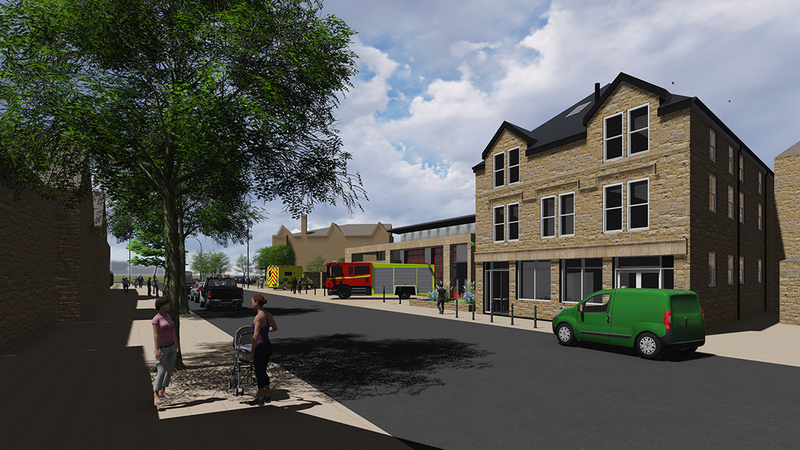 The project involves the demolition of the existing fire station, refurbishing the adjoining 3 storey building and construction of new appliance bays with associated facilities for both the fire and ambulance service. 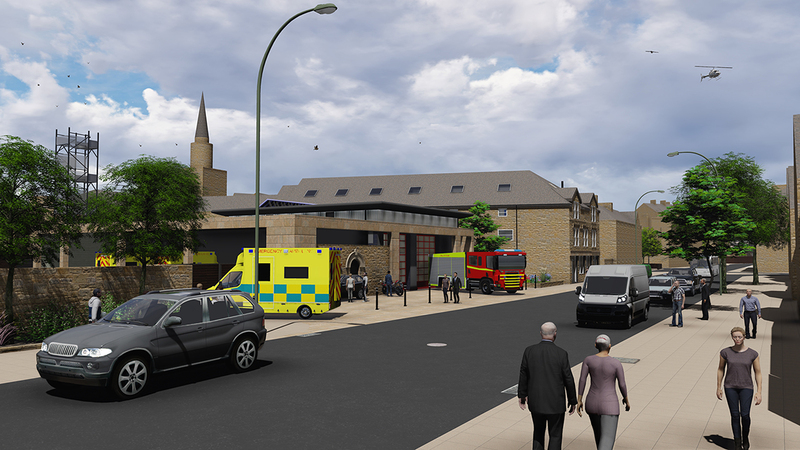 The proposed building is located on the site of the existing Fire Station off Cable Street and lies within the City Centre boundary and a flood risk zone. Number 38 lies within the Lancaster Conservation Area and there are Listed Buildings in the surrounding area although not directly adjoining the site. The existing 3 storey 38 Cable Street building is located to the West of the site. Attached via a new glazed link is the two appliance bays and ancillary stores with frontage onto Cable Street. The new appliance bays are two storeys due to the height requirements of the emergency vehicles. It incorporates a mezzanine / first floor level on the West side to accommodate a plant room and gymnasium. 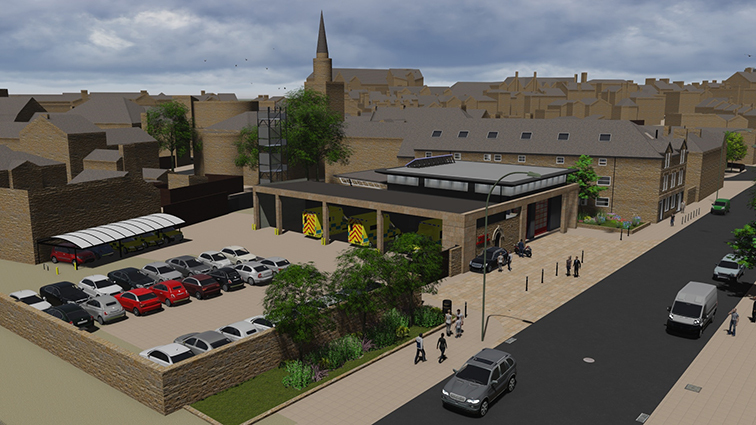 Most of the accommodation of reception, bedrooms, offices , rest rooms, toilets and associated recreation areas are housed within the existing newly refurbished three storey building. The new appliance bays include associated equipment and kit areas. Externally a new training tower is provided on the South side at the end of the Ambulance parking bays, with car parking and new landscaping frontages to soften the appearance of the building.